SKU: V13. Category: Videos. Tag: Answers in Genesis. How could a loving God allow people we love to suffer and die? What answers do we have for those contemplating suicide and those affected by it? 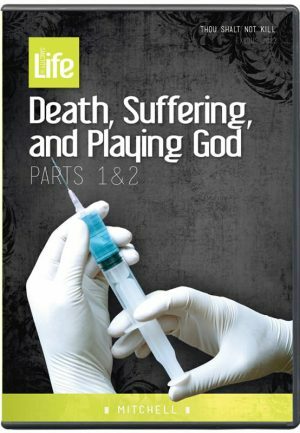 Find answers in this 2-part DVD from the compelling DVD series, Death, Suffering, and Playing God. Co-produced by Answers in Genesis and the American Family Association, featuring scientist Dr. Tommy Mitchell. Medical doctor Dr. Tommy Mitchell addresses the difficult issue of death and suffering. Why do disease, war, and disaster claim countless lives? How could a loving God allow people we love to suffer and die? For that matter, why did Jesus Christ have to suffer and die? Are we just pawns in a cosmic struggle between good and evil? What does the Bible say about the cause of death and suffering? Here you will find the answers and…who is to blame. 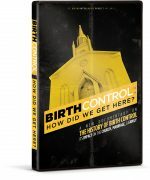 This presentation deals with real-world concerns facing Christians today. As churches seek to help hurting people and to bear the burdens of others, what answers do we have for those contemplating suicide and those affected by it? What does Scripture say? Euthanasia as a way out of physical and even emotional pain is growing in popularity around the world. What does the Bible have to say about it as a “merciful” way to end pain? 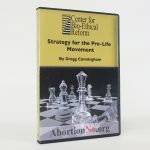 Dr. Mitchell’s long experience in the practice of medicine gives him a unique perspective with regard to both of these difficult and emotional topics.